Michael Prince defines active learning as the “use of instructional methods that require students to engage in meaningful learning activities and think about what they are doing” (paraphrased). This can be as simple as answering a question or as complex as solving a case with a team of peers. In other words, the emphasis is on active engagement, processing and application. Why use an Active Learning Strategy? Quite simply, to engage the student in the act of learning more fully. But how can you tell this is a good thing? Take a look at some observations from a study by Dr. Eric Mazur, a Harvard professor, and active learning pioneer, to answer that question. In the electro-encephalogram (EEG) displayed in Mazur’s work, all of the class periods register flat lines. In fact, most of them are more flatlined than Sleep! They actually look much more similar to the brainwaves for watching TV. This is passive activity as registered by the brain. On the other hand, where it says lab and homework or study, the brainwaves show some promise. That’s because by reading, taking notes, or by working actively on an experiment, the subject is engaging more of their brain and actively trying to learn instead of passively receiving information. By engaging more of their brain in learning, they are creating more neural pathways, helping them to remember the material better and connect it to other pieces of knowledge that already have or will gain later. Not every active learning strategy is suited to every level of learning. For example, it would make no sense to give a first-year student an active learning assignment that required evaluation until you know that they can remember and understand the basic ideas. For example, if the learning outcome says, "Students will know..." or "Students will identify..." a Top Hat quiz might be the best active learning strategy. If the learning outcome says "Students will differentiate..." or "Students will argue/defend..." assigning a case to analyze may be more suitable. As we move through the strategies, we will identify the best fit for students in Bloom's Taxonomy. This doesn’t mean that everything has to change overnight. Just like there are levels to learning, there are levels to teaching, too. Small changes are best. Enacting one small change to your teaching arsenal and then another next semester, and so on, will put you ahead in the long run by creating less stress for you and more interactivity for your students each semester. You also don't have to use these techniques in every class meeting. The lowest effort examples can be used more frequently. The high effort examples can be used once a week or less. Start slowly and build. The following instructional strategies can be used in your classroom to better engage students in the act of learning. Each strategy is categorized by level of implementation difficulty, shows the targeted level of Bloom’s Taxonomy, explains how to use the strategy and the variations available. Teams rotate around the classroom, composing answers to questions, as well as giving thought to answers from other groups. Each station has a question that relates to an important class concept. The whole technique closes with a report out of a synthesis of all the answers to a particular question. Set up one question on the same topic for each station. Better discussions will happen if there is more than one answer or approach to the question. Give each group a set amount of time to answer the question on the document before moving to the next station. When all groups have reached their last station, give each group a set amount of time to sum up all the answers for a report out. Have each group report out a synthesized answer from all the answers listed at their station. This should not just be a list of all the answers, but should communicate solutions that agree, and solutions that conflict. Case Studies: Rather than asking a question, this can be used with case studies. Use a different case study for each station. Micro-Learning: Use this method to roll out several micro lessons (small units of content that can be digested in 5 minutes or less). Ask students to sum up the most important takeaway at the end rather than answering a question. Then, rather than a synthesis, have students share the top two or three takeaways from each station. Top Hat: Low stakes review questions could be asked using a CarmenCanvas or Top Hat quiz at the end of the activity, rather than a report out. Quizzes, Polls and Reflections are fairly self explanatory, but we’ll explore the Minute Paper on its own page. All of these strategies can be as high tech or low tech as you want them to be. For example, you can assign a Minute Paper as a Discussion Board post or have the students fill out an index card and leave it on the front podium as they leave the room. Quizzes and Polls can be conducted on paper or through Carmen, Top Hat or Qualtrics. And Reflections can be submitted as documents or as online submissions or discussion question responses through Carmen, or even as Blog Posts at u.OSU.edu. The inherent flexibility of these strategies makes them useful for all types of classroom situations: auditorium sized lectures, active learning spaces, digital classes and labs. The Minute Paper is an end of class exercise aimed at getting the students to assess and take ownership of their own learning. In addition, it provides feedback for the professor on whether or not the students understood the main points of a lecture or class period. What are the two significant things you learned during this session? What question(s) do you have that still need to be answered? Muddiest Point – The Muddiest Point exercise is a question that can stand alone or be added to this exercise, simply ask students to tell you the biggest thing that they don’t understand. This can be returned to you in any of the formats above. Problems can be either short or long, taking multiple class periods or weeks to complete. Depending upon the task set for the students, this can sit a a variety of levels of Bloom’s Taxonomy. Consider the level of learning you are looking for when creating your project. Create the problem. Ideally, this will be a real-world situation that resembles something students may encounter in their future careers or lives. Cases are often the basis of PBL activities. Establish how you will evaluate and assess the assignment. Consider making the assessments students make of their own work and that of their peers part of the assignment grade. Authentic Learning: Applying knowledge to real-world problems that mimic the work of professionals in the field and then report their findings to an audience beyond the classroom. Challenge-Based Learning: Identify real-life situations or issues and put the students to work on them using collaborative learning. This involves the students finding both the problem and the solution, so the activity is self-directed and typically takes an entire semester to solve. The students then reflect on and publish their findings to a worldwide audience. Some of these projects fail, and that is okay. It’s the research and the findings that are important here. A synthesis of flipped classroom, peer instruction and problem-based learning, Team-Based Learning is a strategy that involves moving the work of the lecture or reading portion of the class to pre-class activity and then using class time to apply the knowledge gained. Students engage with the content outside of class so they can be ready for in-class discussion and application. This can be done through readings, videos, or podcasts posted in CarmenCanvas. This quick five minute quiz, taken individually, activates the student’s prior knowledge and helps boost retention of the pre-class materials. This multiple choice quiz should be no longer than 10 questions and should have one correct answer and no more than three distractors. each question is worth a maximum of 4 points. Students can choose to distribute those points across all four answers, split them evenly between two, or if they are confident that they have the correct answer, put all four on one answer. The TRAT (or GRAT) repeats the questions from the IRAT. Teams should be set up ahead of time, rather than randomized on the fly, and be comprised of 5 – 7 people. It’s also best to keep the same teams for the whole semester. Team members come together with their completed IRATs to take the quiz again and choose the answers as a team. If there is a dispute between team members on what the correct answer is, the team works together to find the best answer, and scratch off their chosen box on the IF-AT form for each question. If they find a star under their answer, they got it right. If they didn’t get it right, they deliberate again to make another choice. The maximum number of points for each question is 4, and the number of points gained goes down with each attempt. If a team believes that a question is unclear or misleading, they can appeal to the instructor. Generally, this is done in writing viaemail, but can be done in person, depending on the instructor’s preference. Following the review of the TRAT results, the instructor can make decisions about what needs to be addressed for the sake of clarity or to be sure that there are no misconceptions or misunderstandings. Things that the class did well on don’t need to be covered in this mini-lecture, saving time for the application exercise. At the end of the mini-lecture, the instructor introduces an application exercise, based on the material that was covered in the pre-class content. During this portion, the instructor travels between teams facilitating discussion and assisting with questions. This exercise can include previous material so it connects concepts within the whole course and should be built with the Learning Outcomes in mind, utilizing the Four S Framework (see text box) to structure and guide the development. The final step is a brief summation of the groups’ findings and a quick review of the material from the professor’s point of view. Top Hat is anticipating the release of a new platform to administer the IRAT and TRAT portions of this exercise in Fall 2018. Watch for updates. This video walks the viewer through team-based learning from a planning perspective and from a student perspective, in addition the viewer gets to see all the steps in action. This video gives a high-level view of Team-Based Learning from both the teacher and student perspective. It doesn’t get into the details of the activity, but it’s a good overview. A low-risk, collaborative active learning strategy that can be used in all sorts of classroom situations. It involves the instructor posing a challenging question, giving them a moment to think about it, collaborate with a neighbor and then share their agreed upon answer with the class. Formulate a good open-ended question that could have several paths to an answer and requires application, analysis, and/or evaluation. This strategy pairs well with Top Hat as the report out at the end. This can be done through a Discussion Question. Ask the question, have the students answer on their own through Top Hat or another method, then “pair” to discuss, then answer the question again. Use Top Hat to gauge if any ground was gained through the “pair” portion of the activity. Instead of collaborating only with one other person, each pair would choose another pair to form a square for further collaboration on a question before coming back to the full classroom. An app-based, electronic polling and presentation system, used for everything from clicker-response questions and live discussions, to online, interactive textbooks that include videos and questions. In more advanced applications, Top Hat can be used to foster discussion, assign interactive homework and allow for review of material and questions. See an instructional designer for more details on how to utilize more advanced features. Top Hat pairs well several other active learning strategies, including Think-Pair-Share, Problem-Based Learning, Minute Paper/Muddiest Point and Team-Based Learning. Top Hat also offers a support webpage, where you can email a question to their support team. Top Hat Blog offers tips and stories ranging from Top Hat utilization to teaching with technology. Where do you start to find information about classroom assessment and course evaluation? This digital collection and bibliography will guide you to resources, along with a brief description and links where appropriate, to help you find what you need. For more information about assessment, contact Mary Higginbotham. Angelo TA, Cross KP. Classroom assessment techniques: A handbook for college teachers. Second ed. San Francisco: Jossey-Bass Publishers; 1993. Banta TW, Palomba CA. Assessment essentials: Planning, implementing, and improving assessment in higher education. Second ed. San Francisco: Jossey-Bass & Pfeiffer Imprints; 2015. Diamond RM. Designing and assessing courses and curricula: A practical guide. Third ed. San Francisco: Jossey-Bass; 2008. Maki P. Assessing for learning: Building a sustainable commitment across the institution. Sterling, Va.: Stylus Pub. ; 2010. Stevens DD, Levi A, Walvoord BE. Introduction to rubrics: An assessment tool to save grading time, convey effective feedback, and promote student learning. Second ed. Sterling, Virginia: Stylus; 2013. Suskie LA. Assessing student learning: A common sense guide. San Francisco, CA: Jossey-Bass; 2009. Sylvia, LM, Barr, JT. 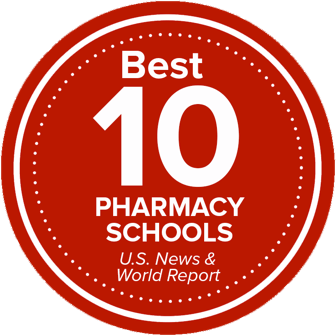 Pharmacy education: What matters in learning and teaching. Sudbury, MA: Jones and Bartlett Learning; 2011. Walvoord BEF. Assessment clear and simple: A practical guide for institutions, departments, and general education. San Francisco, CA: Jossey-Bass; 2010. UCAT’s website offers a wealth of resources to support teaching and learning at Ohio State, including multiple resources for classroom assessment. From the page above, link to pages that discuss developing an assessment plan, offer additional readings about course design and assessment, and share other sources for information about course assessment, including conferences, web sites and multiple taxonomies of learning. This site describes learning outcomes assessment as conducted at Ohio State. Included on this web site are links to resources that may be helpful, including offices and projects at Ohio State that support assessment, higher education organizations that provide information about assessment, and examples from other universities’ assessment offices. This office offers support services for Carnegie Mellon instructional staff, but also offers multiple online resources, including a collection of resources on how to assess teaching and learning. Bradshaw, Martha, J. and Lowenstein, Arlene, eds. Innovative Teaching Strategies in Nursing and Related Health Professions. Sixth Edition. (Burlington, M.A. : Jones and Bartlett, 2014). An excellent and comprehensive resource that has chapters covering virtually every facet of teaching in healthcare. From programmatic evaluation down to specific pedagogical approaches, Bradshaw and Lowenstein’s work provides a clear, accessible treatment of so many different topics that every educator in the health sciences will find something applicable to take away. The division of sections and chapters makes it easy to quickly find those areas of interest to the reader and many of the chapters follow a straightforward system of organization that moves from theory through conditions of learning and highlights potential problems or issues. Bruff, Derek. Teaching with Classroom Response Systems: Creating Active Learning Environments. (San Francisco, CA: Jossey Bass, 2009). Bruff’s book is a comprehensive treatment of the issues surrounding the use of clicker questions to engage students. This is essential reading for those who teach large ‘lecture style’ classes and want to understand the easiest ways to make their class time more interactive and produce greater learning gains for students. It’s worth the time it takes to read but if you’re short on time, click here to download Bruff’s list of key takeaways. Boser, Ulrich. Learn Better: Mastering the Skills for Success in Life, Business, and School, Or, How to Become an Expert in Just About Anything. (New York: Rodale, 2017). Boser’s book is a readable introduction to different elements and experts in the field of learning. This book won’t generate many ready-made strategies for teaching in classroom environments, but serves its purpose as a quick but relatively shallow dive into the latest research on learning. In this way, it is a successor to Carey’s How We Learn. Carey, Benedict. How We Learn: The Surprising Truth About When, Where, and Why it Happens. (New York: Random House, 2014). Carey’s book is another quick and interesting read that approaches the science of learning from a functional perspective by focusing on key (often counterintuitive) learning tools like forgetting and daydreaming. Like Boser’s book, it is more valuable for those who want to understand ways to increase the effectiveness of their own learning.